Dr. Michale T. Colletti, D.D.S. 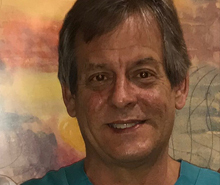 Michael T. Colletti, DDS received his Doctor of Dental Science from Loyola University in 1984, after which he received an Oral Cancer Research Fellowship at the University of Chicago. Upon completion of his Fellowship, he was associated in private dental practice in Chicago with Dr. Richard Pipia. In August of 1985, Dr. Colletti established his own General Dentistry practice in Lombard, IL where he has been providing family dental care and orthodontia care for over twenty years. The dentist office, located at 237 S. Main Street, offers patients the most advanced dental facility and experienced, professional staff in the Lombard area. Its attractive and comfortable office décor, along with the caring and friendly attention that you receive, makes a visit to the dentist as enjoyable as possible. Dr. Vincent C. Colletti, D.D.S. 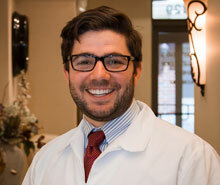 Dr. Vincent Colletti graduated Creighton Dental School in 2014. He was awarded multiple honors including Deans list, American Student Dental Association Leadership Award, and The International Academy of Implantology Excellence Award. He currently is a member of the American Dental Association, Illinois Dental Association, Chicago Dental Society, and the Academy of General Dentistry. Dr. Vince Colletti knew from an early age he wanted to be a dentist. Watching his dad practice, he knew helping people through dentistry was the right setting for him. Dr. Vince started on his path to becoming a dentist close to home. He attended Montini Catholic High School where he excelled in football, wrestling, and track. He continued his wrestling career during his undergraduate years at Northwestern University. Among his many accomplishments and accolades in college, Dr. Vince is especially proud to be recognized as a 2X Academic All-Big Ten athlete. Dr Barry Giovanine graduated Loyola Dental School in 1981. 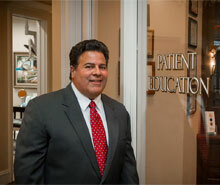 Following graduation he completed a General Practitioner Residency for dentistry at Loyola Medical Center in Maywood. He has been practicing all aspects of general dentistry since. Dr Barry has been in Lombard throughout his career but joined the practice 2018.